Ashiatsu is an updated, Western version of an ancient form of bodywork: massage using the feet. Its roots can be found in a variety of Eastern healing techniques that stretch back thousands of years. Though gentle, the Ashiatsu massage offers a depth unmatched by any other massage technique. The series of movements and stretches given to you via Ashiatsu Oriental Bar Therapy are meant to elongate and relieve muscle tightness which promotes healthy, strong posture; and this therapy delivers the effectiveness of deep tissue but the feeling of smooth flowing Swedish. Your session will end with a relaxing, traditional massage of the neck, shoulders and feet. Therapeutic Massage uses a combination of techniques appropriate for the individual client’s needs– each massage will be different. This massage utilizes all of the accumulated knowledge we have to best suit your needs. By complementing the body’s natural healing processes, CST is increasingly used as a preventive health measure for its ability to bolster resistance to disease, and is effective for a wide range of medical problems associated with pain and dysfunction, including: stress disorders, migraine headaches, neck & back pain, Fibromyalgia, emotional issues, and central nervous system disorders. This modality focuses on the head and spine, releasing restrictions in the cranio sacral system to improve functioning of the central nervous system. For the new Mother, after the first trimester all new mothers (AND babies) benefit from the relief that pregnancy massageprovides. Sore shoulders, low back pain, sciatic symptoms, leg pain,all of the discomforts of the changes involved with the pregnant body- we can help! Special pillows are available for your comfort, relaxing music and essential oils. A clothed massage to ready the athlete for competition, or to replenish, relax and release muscles after an athletic competition. Please wear comfortable, loose sports clothing. Deep Tissue Massage focuses on mobilizing and releasing muscle tissues a deeper level. It utilizes trigger point therapy, friction, and/or stretches and heat. A relaxing and grounding massage that uses hot stones heated in water to do the massage. We suggest a 90 minute session to get the most from this experience. Thai Massage has roots in the ancient healing traditions of Ayurveda and Thai Buddhism. The practitioner uses hands, feet, arms, and legs to guide the recipient through a series of yoga postures involving fluid movements, gentle stretching, and breathwork. Performed on a floor mat in comfortable clothes, this assisted yoga creates a therapeutic “dance” leaving the recipient feeling both relaxed and invigorated. $50.00 for ½ hour Herbal Detox (Luk Pra Kob) treatment. A private Yoga lesson tailored to your needs. You will be amazed how much progress you can make in your practice with private lesson. A private Yoga lesson for two, tailored to your needs. Think of it as a mini-class, but without the discomfort of strangers nearby. $100.00 for 1 hour, for 2 people. This very special combination is tailored for you and what you need at the moment with a warm 10-15 minute foot bath with essential oils that you choose or ask to be chosen for a specific discomfort. This begins to activate and detoxify the reflex points that will be worked on next. Your foot bath is followed by Reflexology on your feet to harmonize, detoxify and relax your body and mind. A wonderful retreat. An ancient art that uses the pressure points of the feet and hands, that are mapped to specific organs and systems, to stimulate the immune system and promote balance within the body. Reiki promotes harmony, relaxation and emotional peace by working with the body’s bio-magnetic field to help gently release blockages and stress. It is used in hospitals today for pain management, to promote general well-being, and to help speed healing of body tissues. This is done using very light touch, and some work over the body without touch. Sound Therapy with Tuning Forks is the newest treatment for your body and feet. 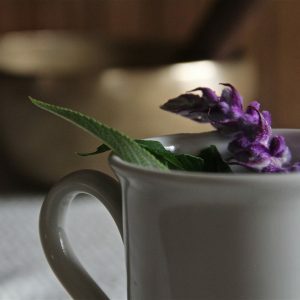 This unique and invigorating healing session will leave you feeling relaxed and revitalized. It also helps aid in the healing headaches, frozen shoulder, carpal tunnel, vertigo, and sciatica to name a few! You will HEAR the sound of tuning forks hitting over 2,700 nerve endings in your feet and you will FEEL the energetic waves hitting your body systems and organs. Detoxifying Mud wrap with Cindy-Imagine warm therapeutic mud blended with essential oils brushed onto your skin, you are wrapped in a warm cocoon of thermal blankets while you relax with a face and neck massage. This is truly relaxing and sooo beneficial for clearing your skin- Perfect for your Spring Cleansing or anytime you need a rejuvinating treatment for yourself or a loved one. This is actually a detoxing treatment, using an herbal wrap for reducing inches around the belly, arms or thighs paired with an aromatic foot soak that pulls toxins out form your feet while you relax with you wrap. It is suggested to drink plenty of water before this treatment, and for 72 hours after. You will actually notice a change in the area treated within 3 days. This is not water weight reduction,it is a firming of the tissue by removal of accumulated toxins in the fat tissue of the body. To prepare, please make sure you drink some water prior to your sauna. We provide all towels, and a bathrobe if you are adding on a sauna to your massage or yoga service. You will undress to enter the sauna, so that the far-infrared wavelength can maximize your treatment by reaching exposed skin. We will provide a glass of alkaline water with minerals added after the sauna, so that you may re-hydrate and replenish minerals lost with perspiration. A different type of massage- meant to be quick and refreshing, employees can receive the massage fully dressed in their office attire and the therapist does not use oils or any other ointments. Sessions last from eight to twenty minutes, depending on your preferences. Chair massage is performed on a specially designed portable massage chair, and allows the therapist to focus on the areas of greatest tension to promote relaxation & well-being. Massage therapy is an excellent tool to combat ailments associated with long hours at a computer: tension headache, neck and shoulder stiffness, and carpal tunnel syndrome. Unlike many other places you may visit, we offer hydrotherapy and aromatherapy at no extra charge to our clients.